By now you will have realized that I love shopping locally (power to Canadian makers!). 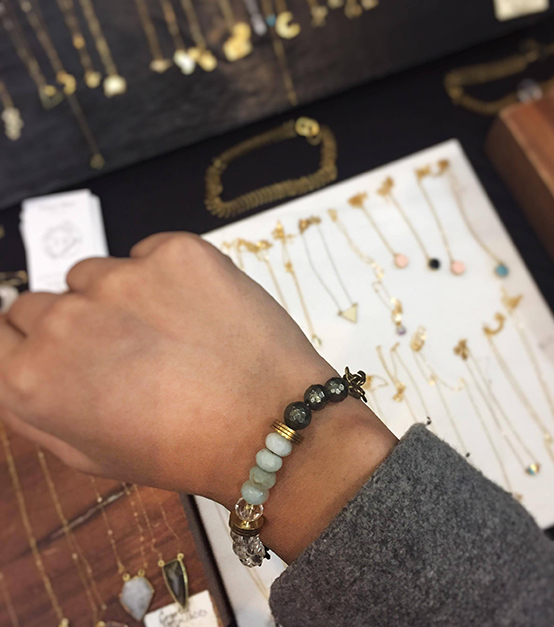 This week I attended one of the numerous Trinity Bellwood Flea Markets to check out some merch and bring you the best deals on holiday gifts. These makers should tackle everyone on your list. Don’t worry if you missed it, there’s another one on December 17th or you can always find these beauties online. This is the first time I had been introduced to Anto Yukon, a bath and body company. I’ve come across a number of soap brands all with exceptional scents but it was the abstract packaging (reusable and recyclable) created by Meghan Hildebrand that caught my eye. The makers explained how their love for nature and ingredients from the land are their inspiration for the products. 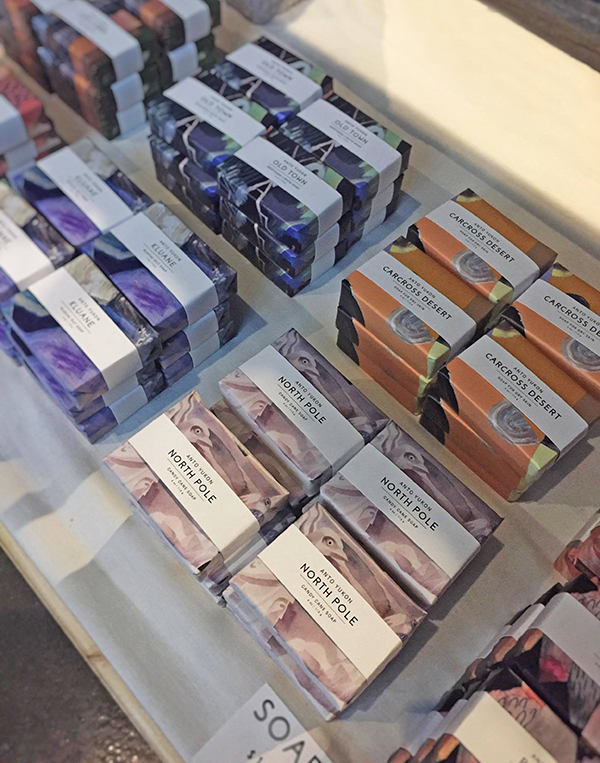 The soaps are purposed with ingredients to suit different skin types; castor oil infusion for dry skin (Carcross Desert Soap), kaolin clay for purifying (Fox Lake Soap), etc. They also make body oils, facial oils and serums. Products are made in small batches in the Yukon (yay!). If your list includes someone who loves timeless pieces then Quinsco is your best bet. The designer and maker, Rachelle, was lovely to meet in person. 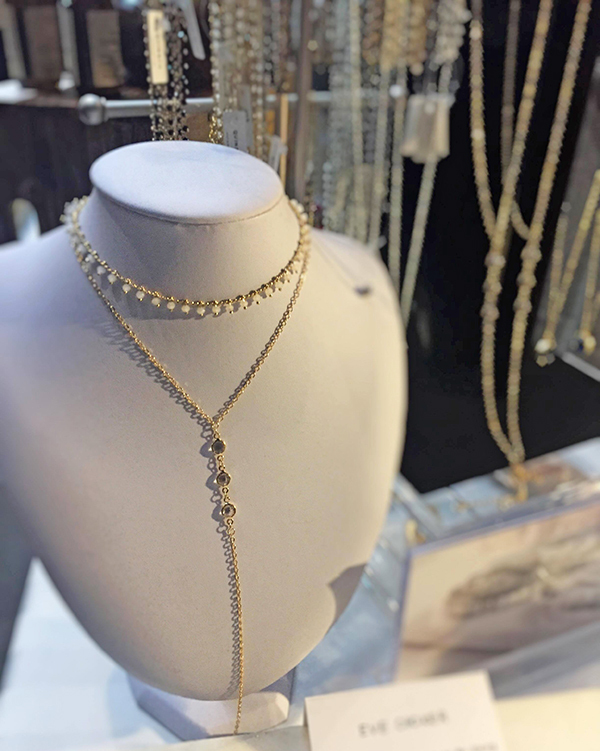 You can tell she takes extra care in creating each piece by hand so you leave with quality jewellery that will last. 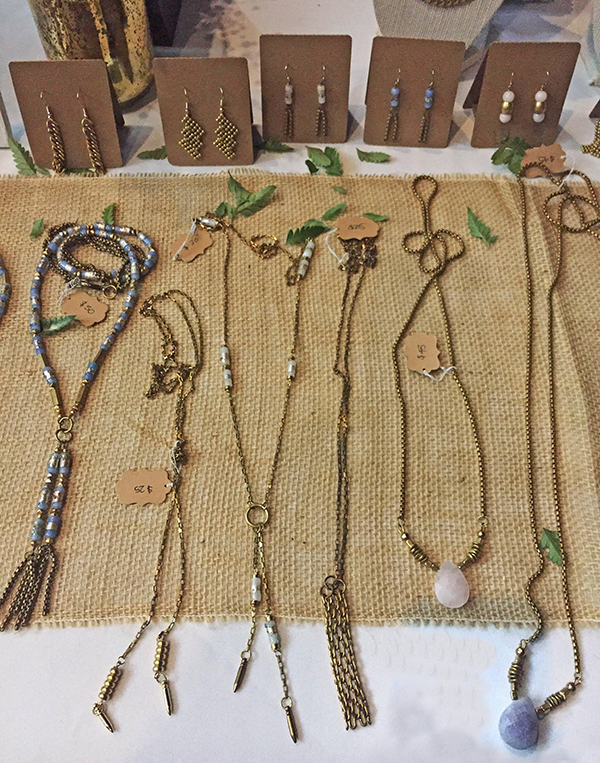 My favourite piece was the Aleena Lariat necklace. This is a 16k gold plated necklace with clear rhinestones. It would look great on a turtleneck or V-neckline. For extra pizazz add a thin choker (she also sells those!). 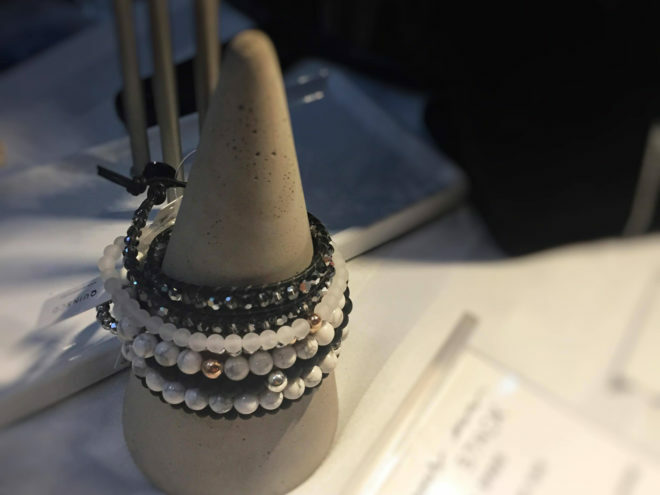 If you’re looking to buy matching gifts for your squad, Quinsco also has pre-made bracelet stacks. Made from a variety of beads, you can choose matte/glossy finish or sparkly ones to match with your holiday outfits. If you or your friend has more of an edgier style, then Black Carat Jewellery and Fierce Deer have some unique pieces of interest. They both incorporate brass hardware with a mixture of stones and vintage elements. 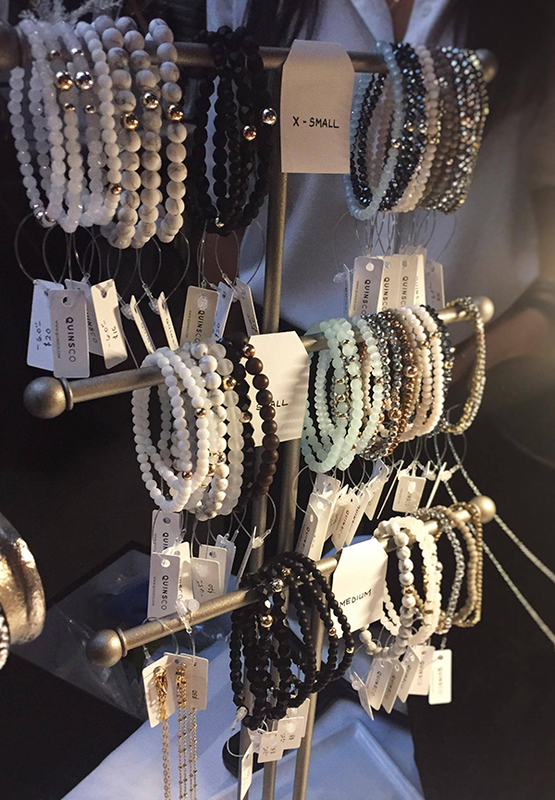 Black Carat features one-of-a-kind jewellery inspired by the designer’s travels across the globe. While Fierce Deer, a sister duo, draw inspiration from Canada for their handmade creations. They also offer more personalized gifts in terms of birthstone, monogram and word-based necklaces. Why should dog lovers have all the fun? I’m a cat person so Oh My Cat was right up my alley. Catherine runs this specialty cat store sourcing products from other brands as well as her own handmade products. So, if your list includes a cat, she’s got everything from beds to clothing to food. Or if your list includes a cat lover then there are paper products, jewellery, apparel and décor. Etsy is probably your go-to place for all things paper. But having seen BoundLove in person, she has a lot of quality products to offer. Amelia, the graphic designer, has created beautiful watercolour prints, greeting cards and calendars, with a special holiday collection as well. 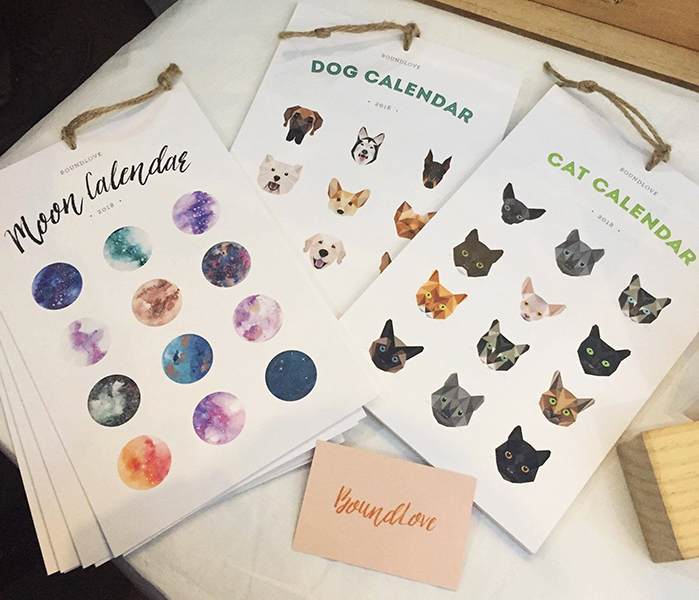 If your gift is for a stationary AND cat lover – BoundLove has got you covered! 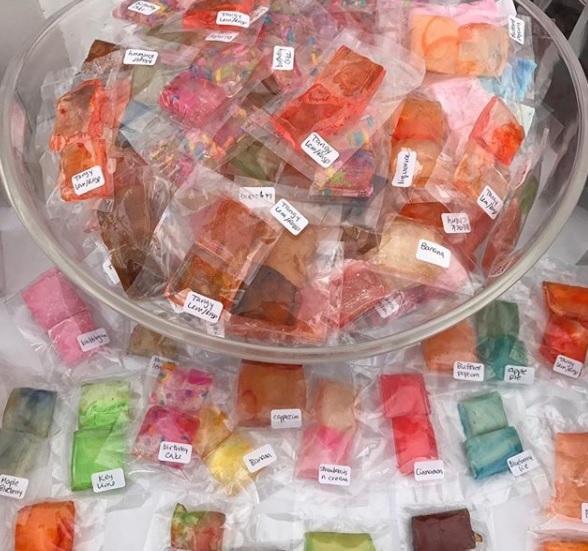 Christine of Sweet Artisan Candies creates pretty awesome candy (and chocolates) that might just be too funky to eat. They look like coloured glass and some are filled with sprinkles, maple leafs, etc. These edible pieces of art include a marble collection as well (every Instagrammer’s dream). Inspired by fashion, art and graffiti, you’re sure to find a packet or two for the perfect gift or stocking stuffer. I adore it all! Love the simple bracelets and the statement jewelry. Would make great pairings! Yes, I love mixing edgier pieces with minimal pieces. These pieces are so stunning. What a great gift it would be.